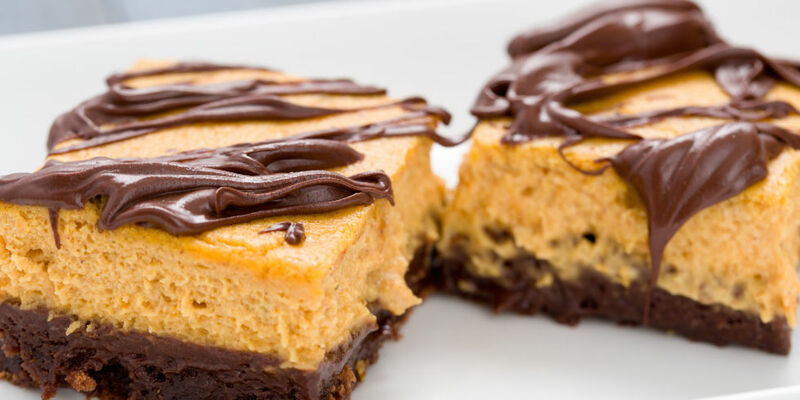 I’ve rounded up recipes for the best pumpkin dessert bars from around the Internet and put them in one easy place to find. 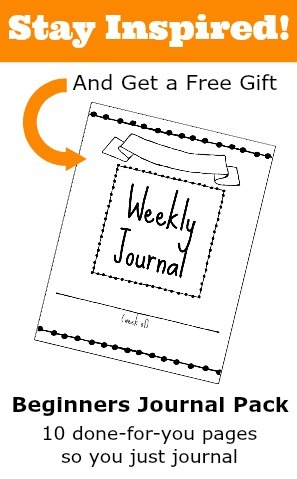 Be sure to download the PDF version of this post because they’re all keepers! When you think of a pumpkin dessert the first thing that pops up is probably pumpkin pie. No Thanksgiving table is complete without one. But there are sooooo many ways to use pumpkin. 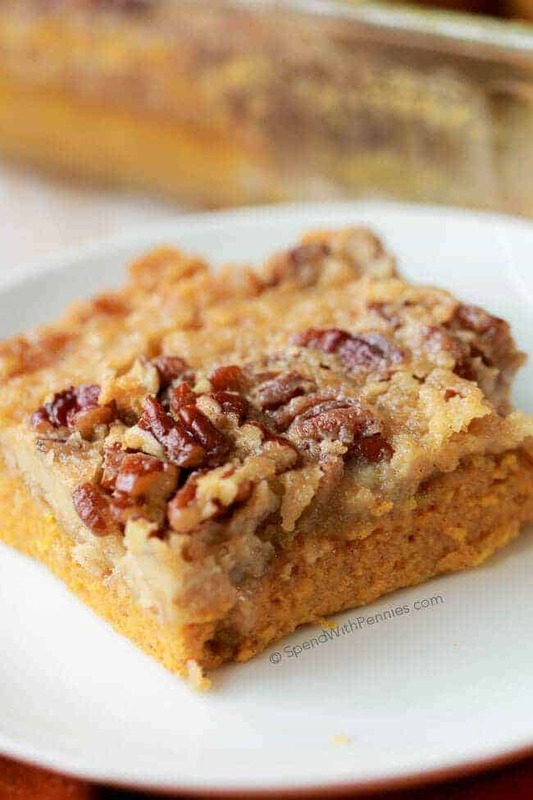 One of my favorites is pumpkin dessert bars. The ones shown above are a terrific example. 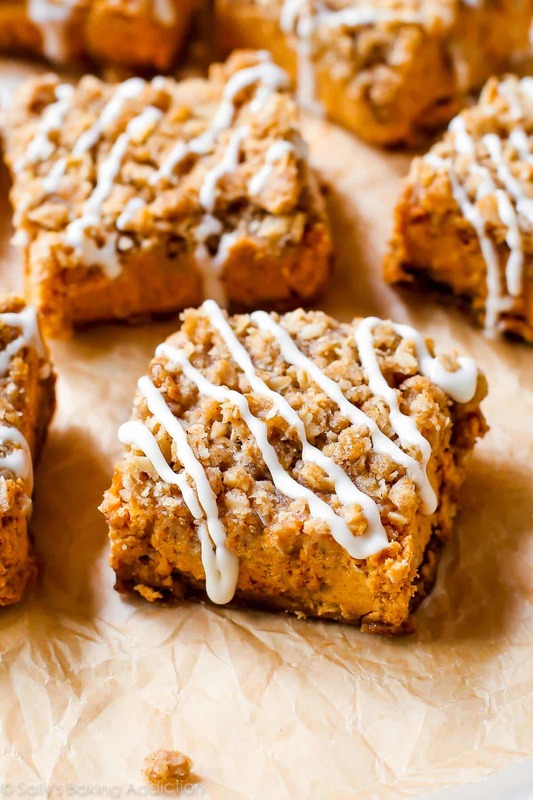 These pumpkin pie dessert bars like eating your favorite Thanksgiving treat with your hands. But that’s only the start of what you’re going to find here. Luckily, you can count on the best cooks on the Net to share their bar creations. If you’re a pumpkin lover then you’re going to love this collection. This lovely dessert is four luscious layers of goodness. A simple buttery crust, followed by a creamy layer, then a pumpkin and cream cheese (yum), followed by more creamy goodness. Pumpkin plus cheesecake… yum! These bars are so picture perfect there so to bring lots of “ooo’s” and “ahh’s” when you bring them to the table. Ooo, these look so good and with that little bit of crunchy toping… this is a definately keeper! 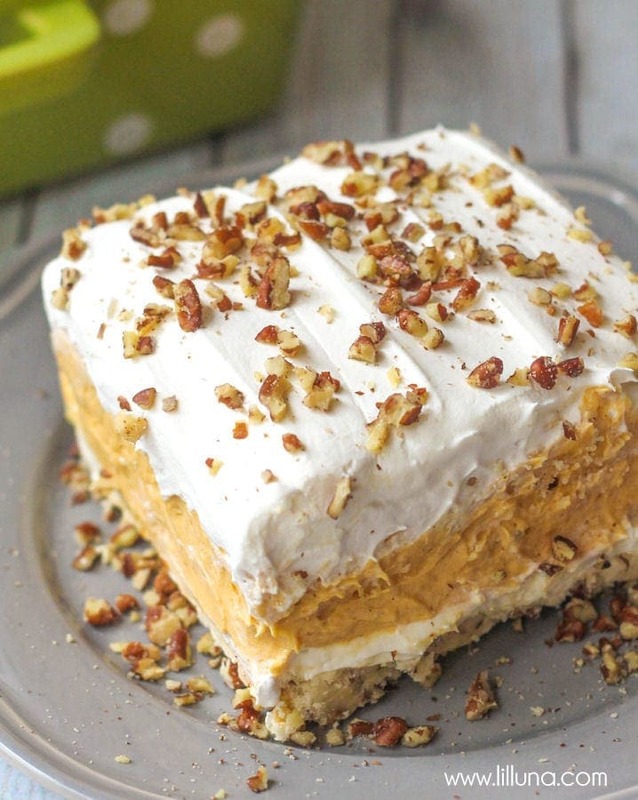 This 5-star winning pumpkin dessert bar is moist, rich and delicious. 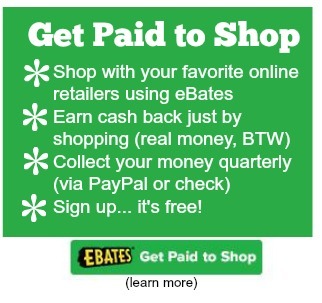 Oh, and easy to makes, too. Want an easy — and foolproof — recipe? Try this pumpkin dessert starting with yellow cake mix. Yup, a cake mix? Like a litle chocolate with your pumpkin bars? This recipe is a yummy goodie you’ll don’t want to miss. This recipe from Martha Stewart is one your kids may call their new favorite. 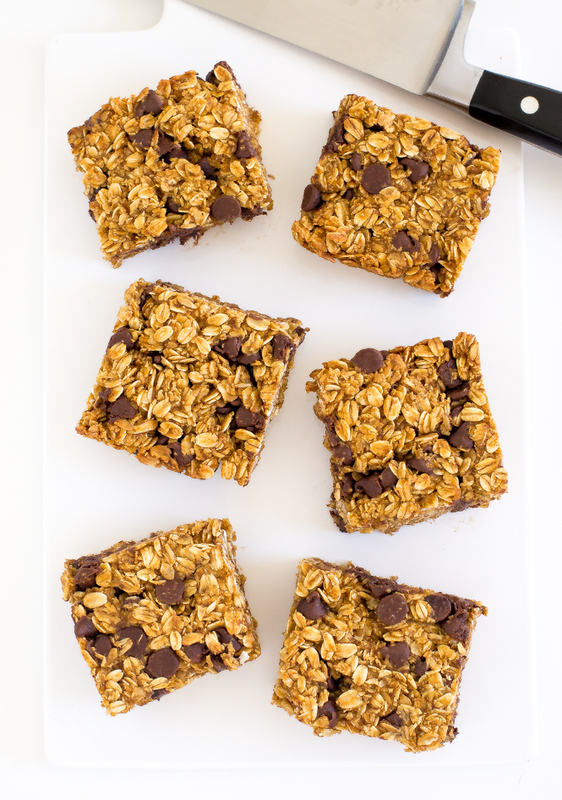 All the goodness of a pumpkin bar but with chocolate chips. If you like your pumkin bars soft and chewy then this is the recipes to try. 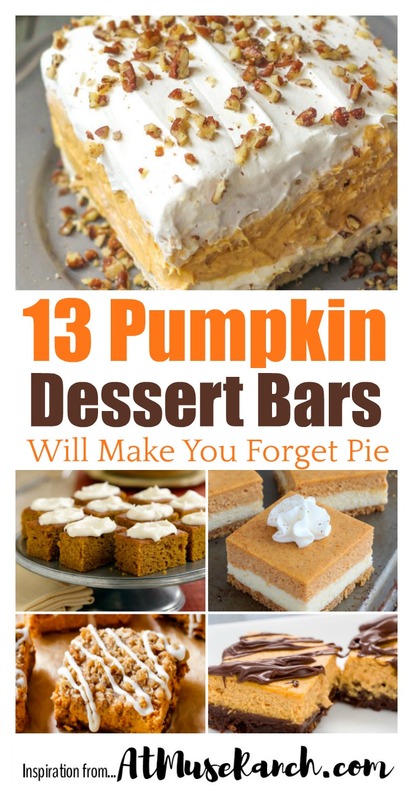 Even with dietary restrictions, you can still have your pumpkin dessert bars and eat them. This gluten-free version will be a favorite for everyone. 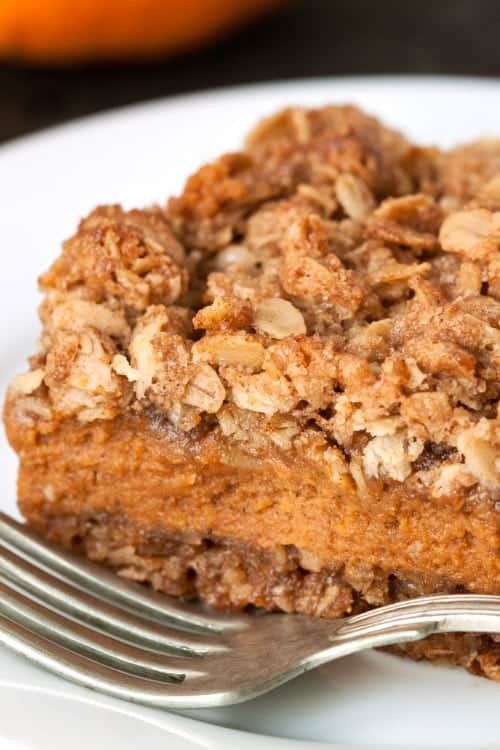 If you’re on a low carb or keto diet, there’s a pumpkin bar recipes for you, too. These work out to less then 2 grams per bar (depending on how many are cut per baking sheet). So what are you waiting for? There are 13 delicious recipes that need testing.